There are two places in Michigan where it's possible to see an elk while mountain biking, hiking or cross-country skiing; the Shingle Mill Pathway in Pigeon River Country State Forest and Aspen Park. I've hiked Shingle Mill a half dozen times and have never seen an elk. The first time my daughter and I were on the Aspen Park trails it was impossible to miss them. There was six of them, huge animals that were standing on the edge of the woods a hundred yards away from us when suddenly two of the bulls squared off and clashed antlers. All this - trails, a rolling terrain of hardwoods and hemlocks and clashing elk - was in the middle of Gaylord, four blocks from a K-Mart. Aspen Park is a dandy. The 100-acre city of Gaylord park is unique because of its unique location it's adjacent to the city elk pen, 105-acre enclosure that contains a herd of more than three dozen animals. 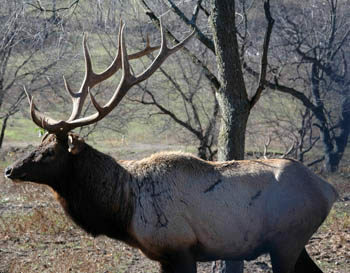 The Gaylord Department of Public Works feeds and manages the herd and also maintains an elk viewing area at the corner of Grandview and Elkview roads just east of Old US-27, where people can sit in their cars and watch the animals. 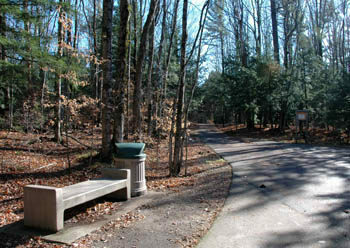 In 2001, the department transformed the park, using a $250,000 state grant to build two miles of trails, install lighting for night skiing and construct benches, mini-shelters and trail signs. 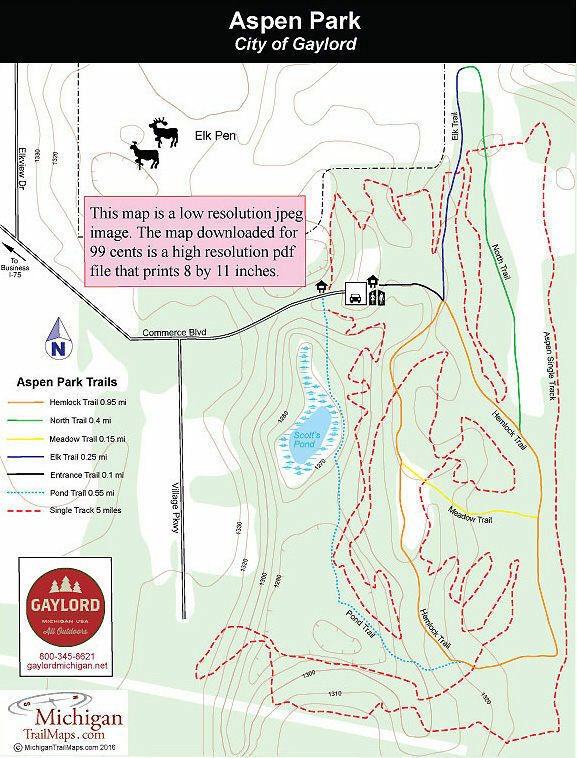 The heart of the Aspen Park trail system are five short trails that form an easy 1.65-mile loop with two crossover spurs. Totaling 2 miles, all five are paved making them ideal for in-line skating as well as walking. In the winter they are groomed for Nordic skiing. 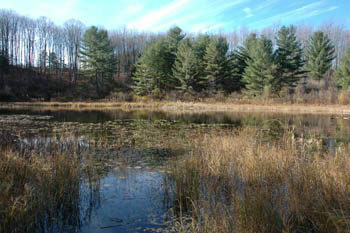 In 2002, the Northern Chapter of the Michigan Mountain Bike Association (MMBA), built a 5-mile loop of single track that winds around and through the pave trails. It has since become a favorite with locals looking for a quick workout and vacationing mountain bikers in need of a leg stretcher in the middle of a long drive.